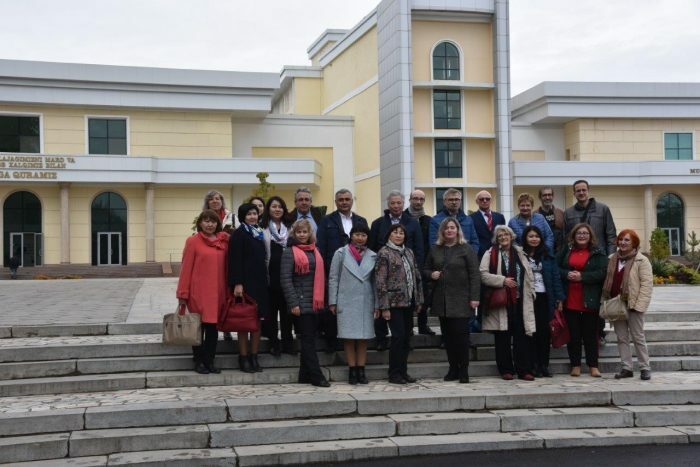 The National University of Uzbekistan (NUUz) has hosted CLASS October meeting in Tashkent. Sessions were held at the Meeting Hall of the School of Mathematics. The numerous consortium participants were welcomed by Aripov Mersaid, NUUz CLASS Coordinator and Kudratkhon Bahadirov, the Uzbekistan ERASMUS Office expert. Yelena Kandalina, local coordinator for Kazakh Universities and Gayrat Urozboev, local coordinator for Uzbek Universities also welcomed the visiting cohort. More information on the meeting will be available in the CLASS 3rd Newsletter, which is expected to be published at the end of February 2019.